There's a reason Eau Claire's increasing prominence is known throughout the Midwest and beyond. As the fastest growing small city in Wisconsin, and the subject of glowing national media profiles praising our quality of life and low cost of living, Eau Claire's authentic can-do spirit has made it a destination for young professionals and families looking for something different. Eau Claire seems poised, ready for its next chapter, making significant strides … Coming here now, it feels like you’re in on the ground floor of something good, with more to come. 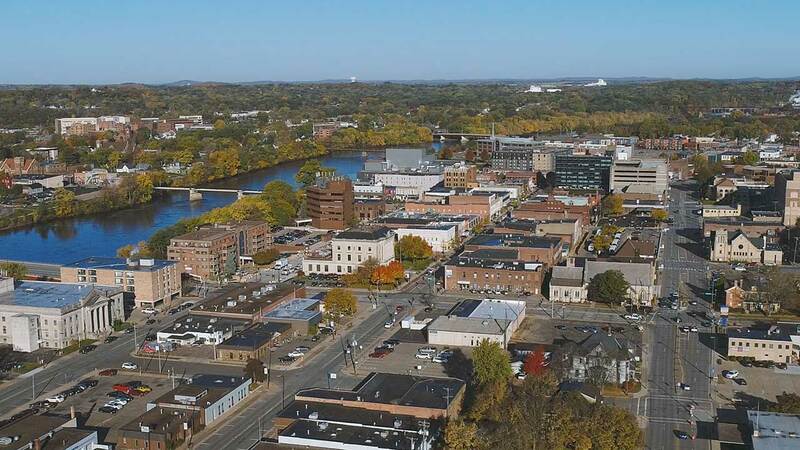 The Chippewa River runs through this city, with loads of trails, parks, even beaches, and a shiny waterfront downtown is rolling in locally owned shops and locally sourced eats. ...young adults are moving to or staying in Eau Claire for its affordable housing, recreational opportunities, music and arts scenes, local businesses and more. There’s easily an afternoon’s worth of browsing the city’s various shops, some of which are owned by young Eau Claire natives who left and moved back. By all means, go to Eau Claire for the music and libations. But be sure to return for the outdoor adventure, scenery and homegrown artistry to be enjoyed. 96% of Eau Claire residents report feeling safe in their neighborhood. 90% of Eau Claire residents said the city is an excellent place to raise children. $170,000 median home sale price for Eau Claire County. Mean travel time to work in the city of Eau Claire. Eau Claire ranks as the 13th safest of 371 metro areas in the nation. What costs $1 in EC will cost $1.10 in Minneapolis and $1.30 in Chicago. Most communities have at least some good. But some places have a lot of good — and Eau Claire is one of them. Dig into the guide below for the low down on everything that makes this place so great — the events, music, recreation, neighborhoods, and more that make up a truly outstanding place to live. An ambitious community like Eau Claire always has a plan for the next big thing. These are a few of the major projects currently in development. The City’s Redevelopment Authority is set to select from one of four major development proposals for a block-and-a-half space in the core of downtown. Key features are likely to include a new Children’s Museum building, office space, apartments, and food/beverage outlets. This huge partnership between UW-Eau Claire, Mayo Clinic, and the YMCA, right along the beautiful Chippewa River, is underway and will accommodate large-scale events for more than 6,000 people. It will feature 150,000 square feet of wellness, aquatics, and recreation facilities. After securing a significant federal planning grant, Eau Claire’s transit hub concept is a seven-story mixed use building housing public buses and other transportation modes, plus shops and apartments. The L.E. Phillips Memorial Public Library, Eau Claire’s most used downtown feature, is currently fundraising for an ambitious renovation project that would nearly double the building’s square footage. The Cannery is a major redevelopment district near downtown along the Chippewa River. Projects currently under construction include a destination brewery/event venue. But ambitious future plans include a park, apartments, and a pocket neighborhood. UW-Eau Claire has nearly completed a major reconstruction of portions of its campus, creating a beautiful river-side pedestrian space. Think Eau Claire is a project of the Eau Claire Area Chamber of Commerce. While Wisconsin is known for its natural beauty and abundant resources, it is perhaps best defined by the people who call it home. People with a restless drive to invent, create and achieve. Who combine passion with pride and turn ideas into industries, and whose intellectual curiosity and commitment to collaboration propel groundbreaking discoveries to meet global challenges. We know that the real motivation to push forward comes from our connections and experiences. Our traditions are more than trends — they define a way of life, In Wisconsin®. Take the next steps. Explore job options, housing listings, and more here. Think Eau Claire is a project of the Eau Claire Area Chamber of Commerce, in collaboration with Volume One, an Eau Claire-based media, event, retail, and production company.